- ToughAsNails® optics established systemized quality control system and supplies thoroughly qualified products only, and we are challenging zero defect through 100% sampling test for the products shipped. - We only use high-grade optical materials, and we are in charge of eye health by strict process control and high manufacture requirements. - We produce the lenses analyzing customers various requirements and trends, and we, all employees of ToughAsNails company are doing our best to provide impression beyond customer satisfaction. Meets and exceeds regulation 21 CFR 801.410 / drop ball tests , ANSI Z87.1 & Z80.3 standards. Exclusive ToughAsNails® Anti-Scratch tech, abrasion resistant durable hard coating tech. Repels against dust, oil and water. 100% UV400 protection against UVA & UVB rays. 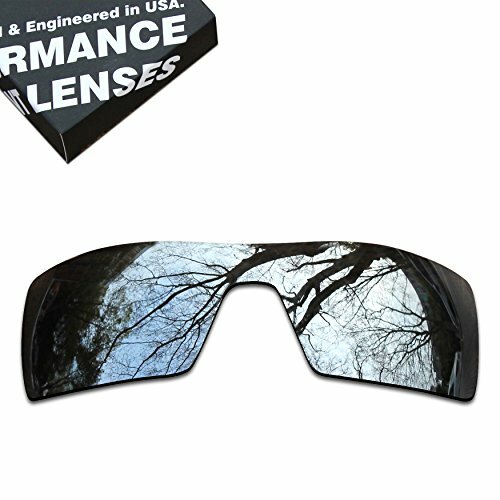 Anti-Glare & enhance clarity (polarized lenses). Please make sure your sunglasses model, as the lenses are not interchangeable between styles. The color may slightly look different depending on your monitor. Please understand that there can be a situations owing to circumstances beyond control which can delay shipping time. ToughAsNails Lenses are aftermarket products, please don't compare ToughAsNails products with original branding products. ToughAsNails is not affiliated with Oakley or any other sunglasses manufacturers in any aspects. If you have any questions about this product by ToughAsNails, contact us by completing and submitting the form below. If you are looking for a specif part number, please include it with your message.